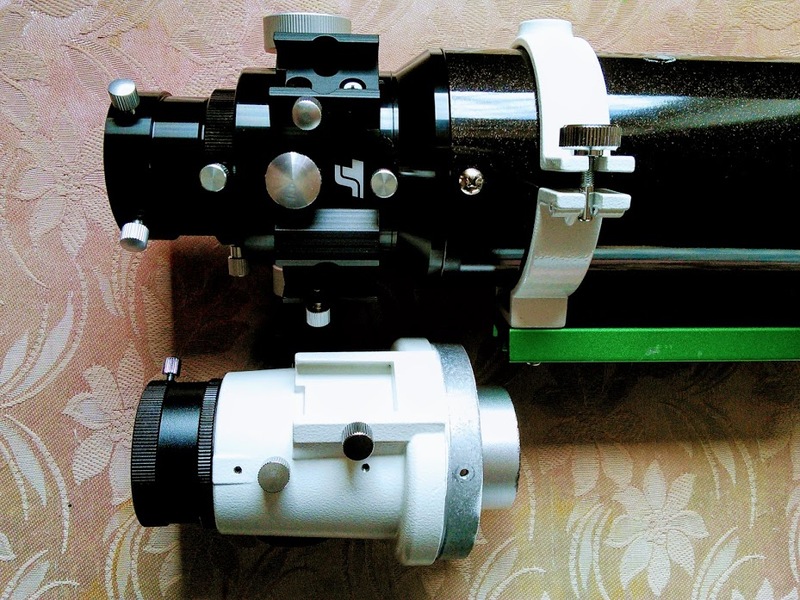 In January 2018 I bought a Sky-Watcher ST102 and immediately replaced the stock focuser with a TS Optics (GSO) two-speed Crayford rail. I didn’t get to use it much in 2018 as the weather was weird and I originally used it with my Vixen Porta II/SXG tripod combination. This is heavy for me to carry as I am physically disabled. I discovered that the modified ST102 balances really well on my lighter, more portable AZ5 mount. The similarly modified ST80 always seemed focuser heavy to me so was predominantly used with 1.25” accessories. I never utilised the focuser rotating feature with either the ST80 or the ST102. As I’ve predominantly been using a 2” diagonal with the ST102 I’ve been experimenting with rotating the focuser. 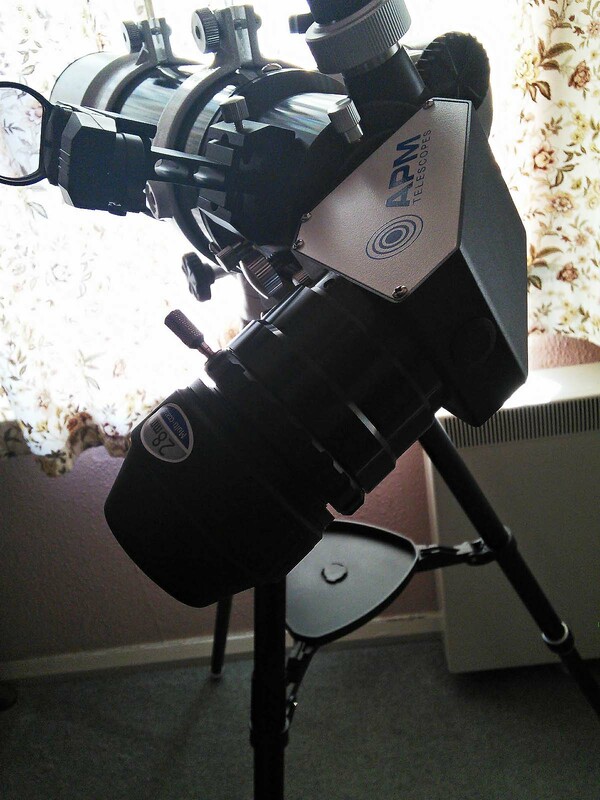 It’s not quite as smooth as the rotating focuser on my 102mm Altair Starwave but it is equally effective. I’m starting to think it’s the best thing since sliced bread. Last edited by Nightspore on Mon Mar 18, 2019 9:17 pm, edited 2 times in total. Last edited by Nightspore on Mon Mar 18, 2019 9:12 pm, edited 1 time in total. Last edited by Nightspore on Mon Mar 18, 2019 9:28 pm, edited 1 time in total.